The Rise & Lead Women Summit is a one-day, annual entrepreneurial leadership summit that focuses on female empowerment, visibility, and bridging the gender gap by offering demonstrated skills for business growth and leadership. 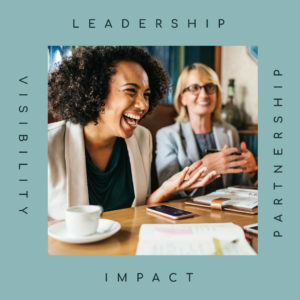 This summit provides an opportunity for female entrepreneurs, founders, business executives, independent consultants and change-makers to connect, learn new skills and share knowledge with female luminaries, industry leaders, and mentors. Our keynote speakers will tackle a range of topics by sharing their stories and experiences on topics ranging from personal branding, corporate selling, negotiation strategies, executive presence and self-confidence. is ready to step out of obscurity and her comfort zone and step into her highest calling by becoming more visible and influential. is tired of getting the same results in her life and business every year and is ready to grow her revenue and influence. wants to learn how to negotiate in different situations, whether for a raise, financing or in business deals. is committed to making a difference in society by growing her business, leadership and social impact.